I recently had an idea to build an outdoor bouldering/traversing wall for my children so looked in to the materials I would need to buy. Having looked at commercial climbing holds I was wondering how I might make some myself and if I could make a cost saving. I did quite a bit of research on the net and found quite a few different ways all with a variety of cost and quality associated with them. In the end I decided I would go down the route of making the best I could even though I think in the end I won't save much money at all.I will have my own one-off custom climbing holds though. 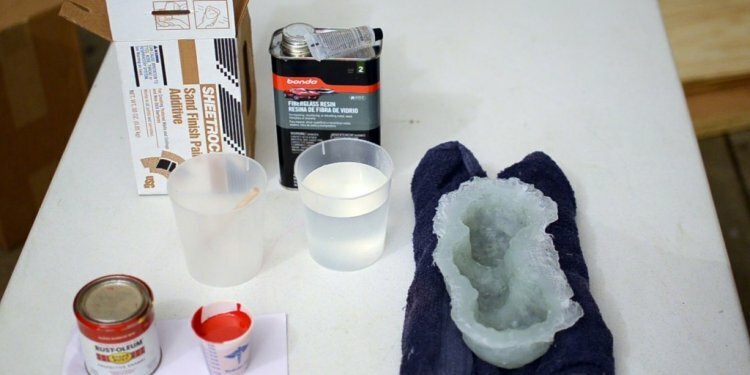 The method I use is to shape a hold in florist foam (oasis foam) and to cast a negative in RTV silicone; this silicone is very flexible and strong, albeit expensive, and cures in around 12-18 hours. I then cast my holds using polyurethane resin; a two part liquid system which I believe is the same as/similar to the material commercial holds are made of. This resin turns out really strong and non-brittle so has less chance of breaking when tightening against a wall or climbed on. I got all of my materials apart from the paper clip from ebay and should be available all over the globe.